E. coli (Escherichia coli) under a microscope! Funny gag gift for all of the cooks in your life! FACTS: The Escherichia coli bacterium was identified in 1885 by Austrian physician Theodor von Escherich. Its peritrichous flagella (the hairs which can sprout anywhere on its body) can twirl around, propelling it forward at the bacterial-equivalent speed of a torpedo. Many strains of E. coli are harmless, and huge numbers are present in the human and animal gut. 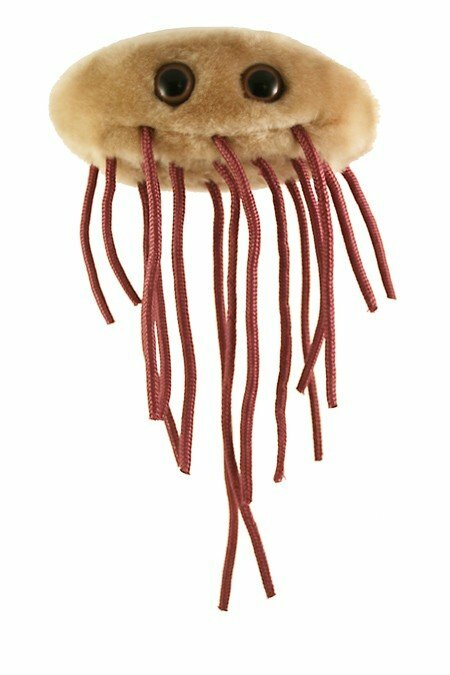 In addition, E. coli is among the most studied of all creatures great and small. Not only is it ubiquitous, but it is simple to cultivate. Under ideal conditions it can divide every 20 minutes; a single cell can become over a billion in less than 10 hours! 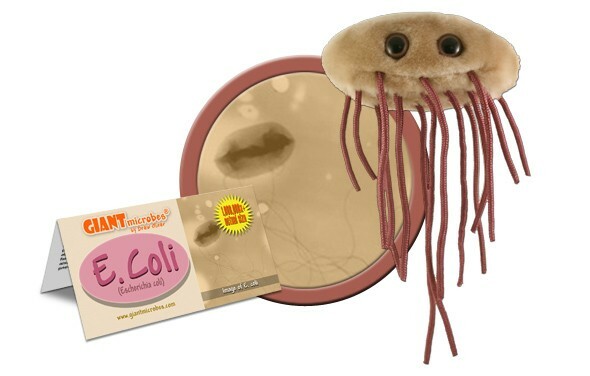 Nevertheless, E. coli can also escape the confines of the human and animal intestinal tracts and cause both urinary and serious abdominal infections. And of course, certain strains (such as the infamous O157:H7) can cause food poisoning as well. Though E. coli outbreaks have been attributed to a variety of causes (such as unpasteurized milk and contaminated water) undercooked ground beef is among the most common causes. Contamination typically occurs at the slaughterhouse, when cattle’s internal bacteria are inadvertently brought into contact with the beef’s surface. The grinding process then distributes the bacteria throughout the beef, where it is more likely to be undercooked. Because E. coli contamination requires very few bacteria, contaminated meat looks and smells normal. 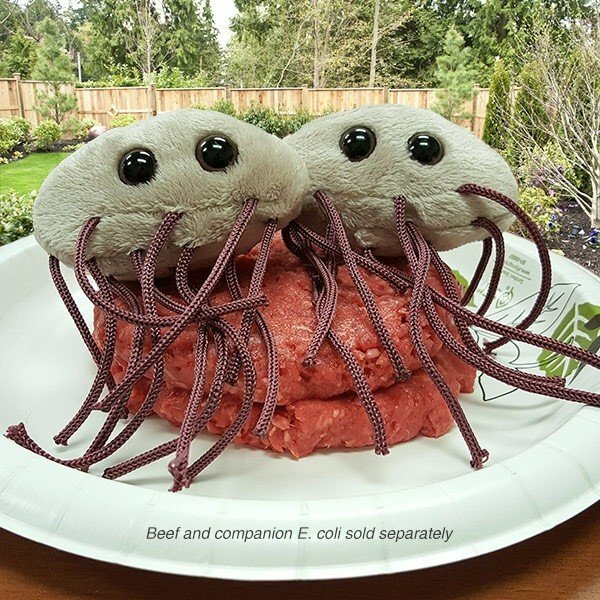 So, if you’re a carnivore, the surest way of avoiding a close encounter with E. coli is to cook your meat thoroughly – and have your steak tartare well-done. E. gads! Escherichia coli is a bacterium that naturally lives in the intestines of healthy animals and humans, however, there are strains of E. coli, specifically O157:H7, that cause food poisoning. Feces can contaminate food with E. coli through runoff and improper sterilization. Water, raw vegetables, undercooked ground beef, and unpasteurized milk are the most common E. coli offenders. Cute gift for doctors or foodies! Originally named Bacterium coli, Escherichia coli was named after the scientist that discovered it. Diarrhea, vomiting, and cramps. Prolonged exposure can cause kidney problems. None. Antibiotics not recommended. Symptoms will subside after 5-10 days in healthy adults. 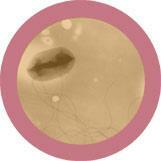 1885: German scientist Theodor Escherich discovered Bacterium coli in the human colon. He also found out that certain strains caused infant diarrhea. 1982: Ground beef at a fast food chain caused the first widely recognized O157:H7 outbreak in the US. 47 people were affected. 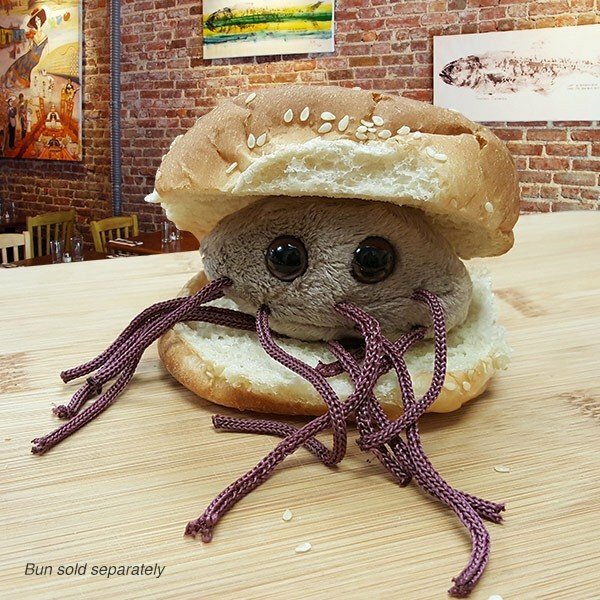 1993: Another hamburger chain caused an E. coli breakout that infected >600 people with 4 deaths. May 2014: In different outbreaks, E. coli from raw clover sprouts contaminated 19 people, while contaminated ground beef caused 12 infections. Infections are caused by even small amounts of these bacteria.